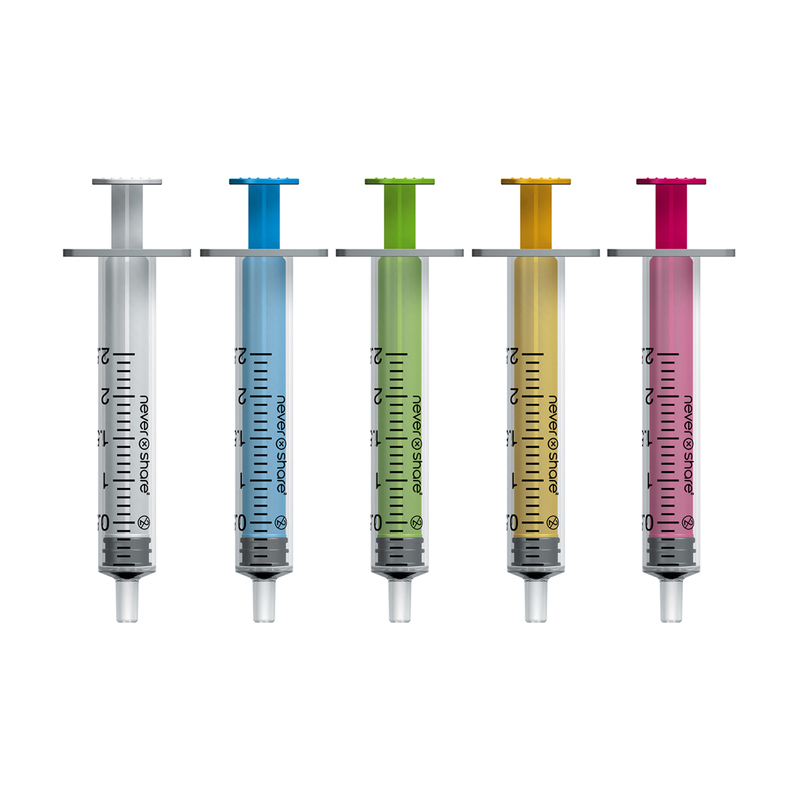 The 2ml Nevershare Syringe is a high quality syringe, with a smooth action rubber plunger, manufactured in 5 distinctive colours to prevent accidental sharing. 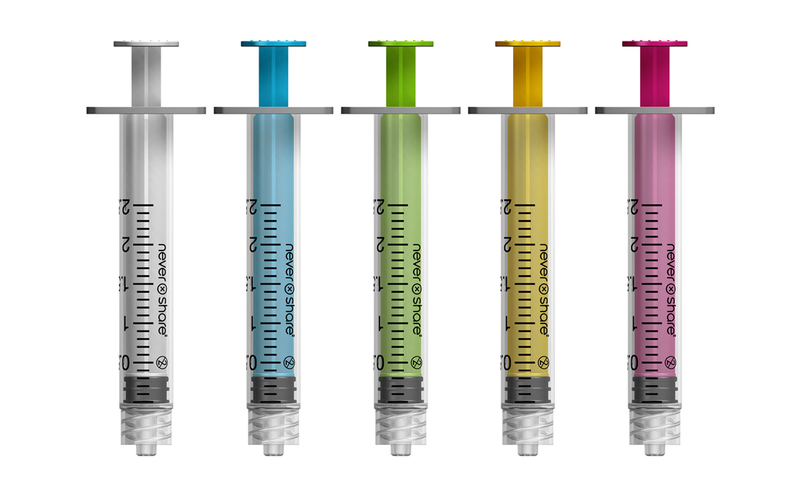 You can order equal numbers of mixed colours, or individual colours: simply add the quantity you need to the box and click on 'add all items to basket'. For more information, click on the icons or product names.